Castlebar - County Mayo - Who Will be The Next Irish Adventurer of The Year? WHO'LL BE THE NEXT IRISH ADVENTURER OF THE YEAR? Two adventure orientated events make their way to Westport and Castlebar at the end of this month. The Irish Adventure Film Festival and the Irish Adventurer of the Year Awards. Following on from last years success of the Irish Adventure Film Festival, a new event has been added to the weekends line up - the inaugural Irish Adventurer of the Year Awards. Organisers of the festival, Jarlath Mc Hale and Graham Clarke gave us some insight as to why they wanted to add the Irish Adventurer of the Year Awards to the already popular film festival.
" The ethos of the festival is to inspire people to undertake their own adventures. No matter how small", Graham tells us. "We felt that there was an opportunity to do more with the festival. To celebrate some of the incredible adventures that Irish people go on each year. We wanted to highlight the incredible trips and adventures that Irish people have undertaken - and also inspire others to undertake their own". Speaking about the 30 nominees for the awards, Jarlath's clearly impressed. "As this is the first year of the awards, we weren't sure how much interest there would be from the outdoor community. To be honest we've been blown away by the response. There are nominations from Irish mountaineers who have summited K2, kayakers who have paddled the extreme whitewater of the Rondu Gorge on the Indus River, to a Mayo man Eamon Keaveney who walked 2,000+ km around Ireland for charity...barefoot. 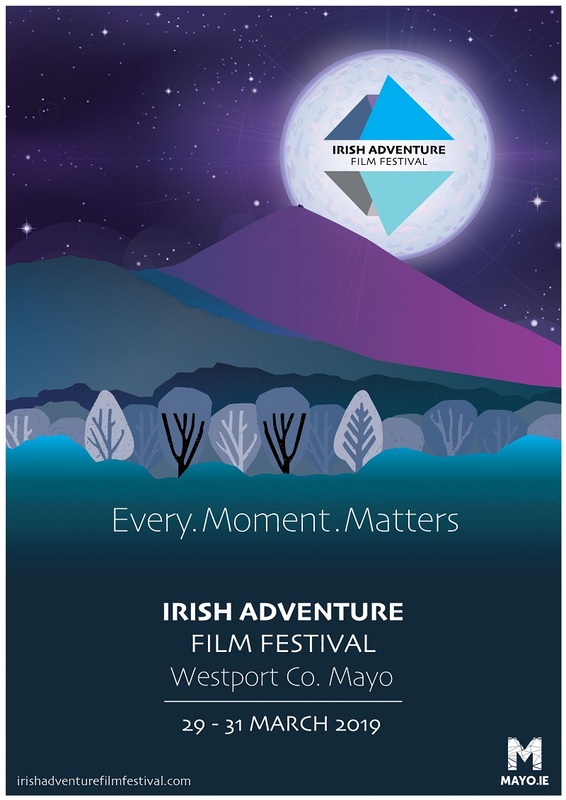 Following on from the awards the Irish Adventure Film Festival takes place in the W Cinema, Westport over the course of the Saturday (30th) and Sunday (31st). Nearly 20 hours of films will be screened. Many of them already award-winning. 157 films were submitted to the festival, from 34 countries. Elaborating on the selection process, Graham explains that it took the eight-person film selection committee the winter months to review all the film submissions. "The standard is really, really high. We had to make some tough call's as to what to screen, and what not to. Definitely one of my least favourite parts of organising the festival. Thank God for Jarlath. I'm too soft. I'd be screening everything and the festival would be a week long!". Another first for this year event is the attendance of some of the film directors, made possible with the help of Mayo.ie. Film directors from Israel, France, UK and Ireland will be in attendance to introduce their films and afterwards answer any questions the audience might have. And of course, soak up everything Mayo has to offer. 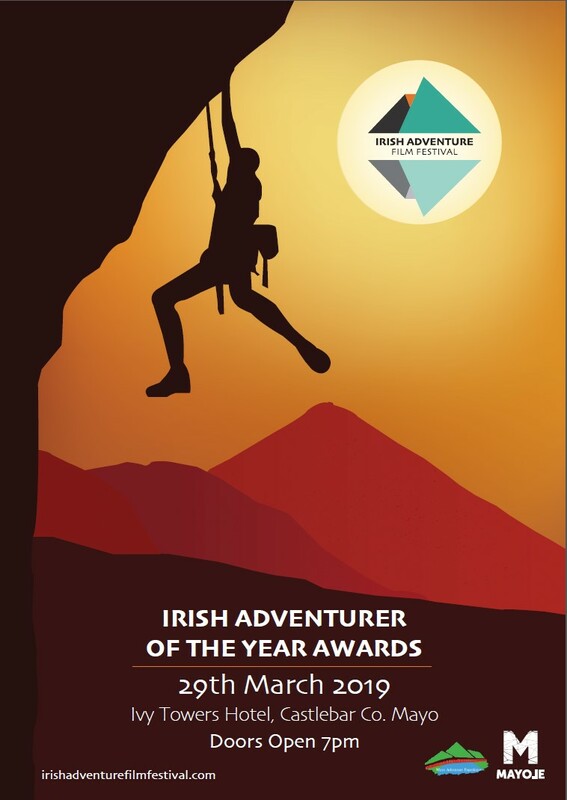 The Irish Adventurer of the Year Awards takes place in the Ivy Towers (formerly the Welcome Inn), Castlebar on Friday, March 29th. Doors open at 7pm. Tickets are €5. The Irish Adventure Film Festival screens in the W-Cinema from 11am on Saturday 30th March and again at 11:30 Sunday 31st March. Tickets range from €15 - €60. The Irish Adventure Film Festival is proudly supported by Mayo.ie and Mayo Adventure Experience.